Established in 1985, the MRI Whale Unit is a global, African research, conservation and education facility that researches the ecology, population dynamics and behaviour of the diverse cetaceans (whales, dolphins andporpoises) in the Southern African sub-region and surrounding oceans, with the principal objective of providing knowledge that will promote their conservation. A primary raison d'être of the Unit remains the development of human capacity in these areas. Research, Conservation and Education are interlinked to execute forward-looking programmes, integral for the understanding of conservation priorities for African cetaceans. 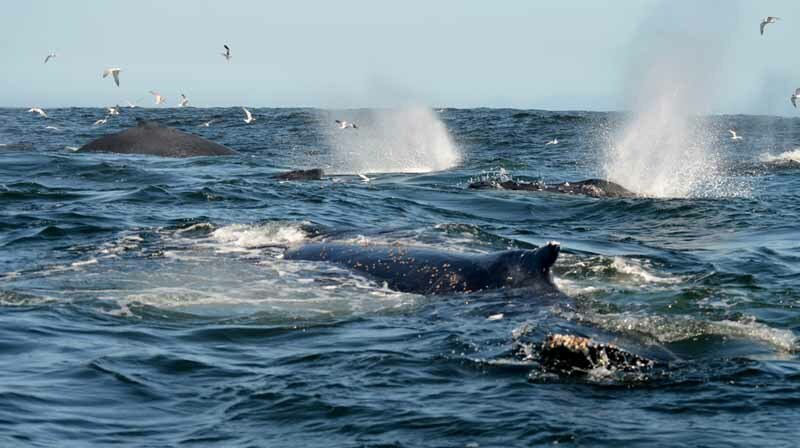 · Building a Conservation Inventory of South Africa’s whale and dolphin Fauna. · African Links – Building African Marine Mammal research capacity. The MRI Whale Unit possesses a wealth of expertise and tacit knowledge, intellectual property, and well-established knowledge resource bases. The Unit’s productivity is high, having produced over 12 peer-reviewed publications, 35 popular articles and 4 books in the last 26 years. The Unit has current national and international collaborations with over 30 organisations.